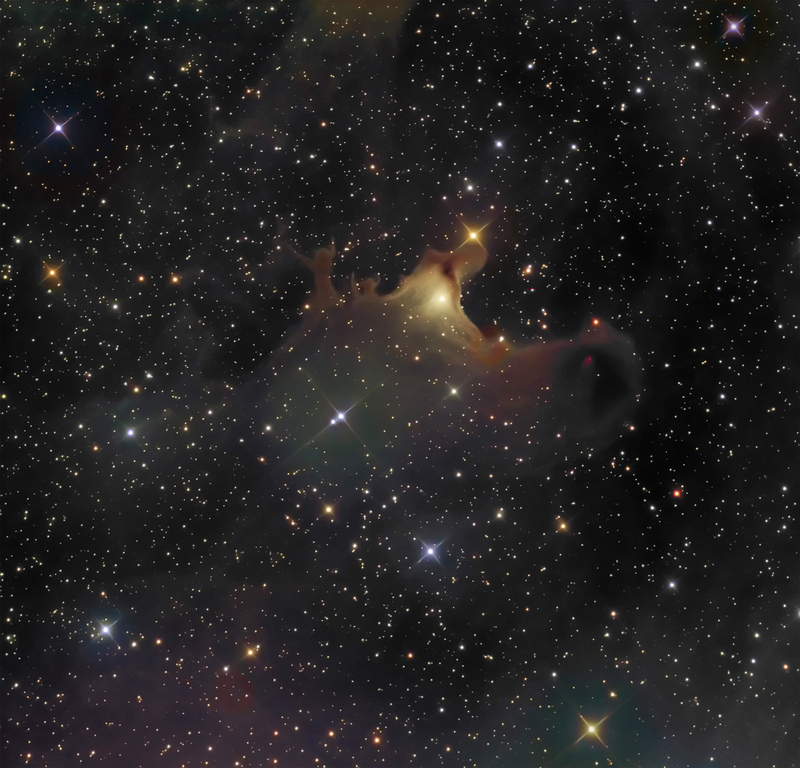 van den Berg (vdB) 141 (Sharpless 2-136) is a reflection nebula in Cepheus. vdB141 is also referred to as the Ghost Nebula due to several human-like figures with arms raised, rising up from the top of the cloud structure to the left of the bright reflection. This image was processed to highlight the main reflection and to bring out the considerable variability in background nebulosity.